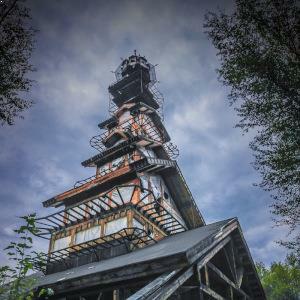 A towering home in the Alaskan wilderness looks like something straight out of a freaky Dr Seuss storybook. Located just outside the town of Willow, locals affectionately refer to the peculiar structure as the “Dr Seuss house”, according to design website This Is Colossal. The original owner built the house soon after a forest fire when there was a clear view of nearby Mount McKinley, North America's highest peak, and Denali National Park. However, as the surrounding trees recovered, the perfect view was obscured and the owner decided to add a few more stories, spending a decade adding new floors until it became the bizarre 12-storey tower visible today. While the tower sat abandoned for a while, the Dr Seuss house apparently has a new owner who is working on renovations to keep the structure intact.